Want to be in on upcoming events, tournaments, and qualifiers? 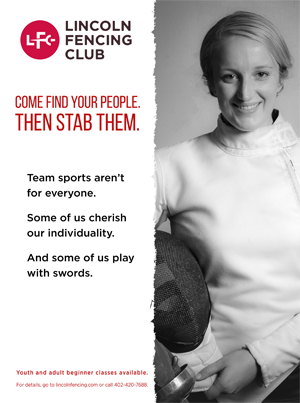 Want to be connected to Lincoln Fencing Club by receiving announcements, news of volunteer opportunities, and other fencing club information? Just fill in the information below and get yourself on the LFC mailing list! After you hit subscribe, you will receive an email notification to confirm your subscription to the Lincoln Fencing Club mailing list. Thanks for your interest!